Hills Horizon helps encourage the development of sustainable lifestyles through education, community interaction, and efficient design. 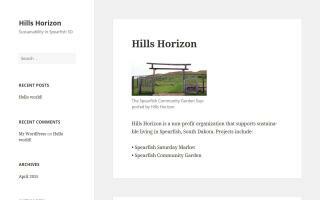 Hills Horizon is the licensed operator of the Spearfish Market in the Park and the Hills Horizon Community Garden. 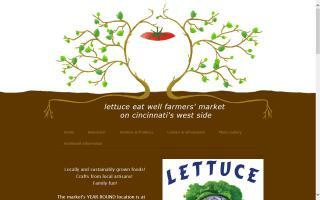 As of 2011, reported offerings include: baked goods, crafts, herbs, vegetables, honey, jams, meat, and prepared foods. Centuries old farm raising quality raw milk from Jersey cows and dairy goats. Angus beef and small grains are also available.